SportyBet is committed to Responsible Gaming. Sportybet is dedicated to make gaming as an enjoyable leisure activity and provide an enjoyable betting experience to all involved parties. The majority of players enjoy the entertainment and gaming services we provided but for some people gaming may stop being a harmless leisure activity and become a problem. SportyBet has a series of measures for responsible betting which allow customers to limit their spending and it is a mature way of ensuring all involved parties stay in control. 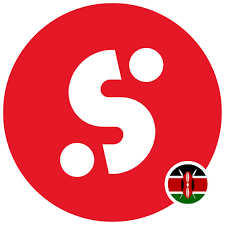 How to register on SportyBet Kenya? Click here to register, you will be required to fill in the registration details and follow the given steps. You can also choose to send an SMS with “signup”, “register” or “accept” to 22022. Can I change my username on SportyBet? Unfortunately not; the username, which should be a verified phone number that you have chosen during the registration process cannot be changed once you have created your account. How can I retrieve lost login details from SportyBet? If you have forgotten your username, please contact Sportybet. How do I change my password on SportyBet? Login into your account, go to “My Account” drop down menu and select “My Account Info”, then click on “Change Password”. How do I update my personal details on SportyBet? Login into your account, go to “My Account” drop down menu and select “My Account Info”. You can then change your profile as desired. What is the maximum Payout on SportyBet Kenya? How many selections can I add to my SportyBet betslip? How do i withdraw money from SportyBet Kenya? To withdraw your winnings, simply go to “My Account” and find the “Withdraw” button. Enter the desirable amount to withdraw and click on “Withdraw”. Your winnings will be immediately sent to your M-pesa account after your confirmation. Are there any fees for SportyBet Kenya withdrawals? Previous articleHow to send money into your Bank of Africa Account via PesaLink. Next articleHow to open an M-shwari account.